Welcome to Mentor for Bank Exams. 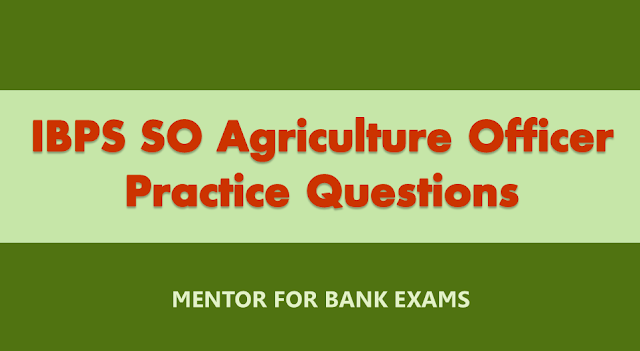 IBPS SO (Agriculture - Officer) Exam 2017 is going to be conducted, we hope you all have been preparing well for this exam. To brush up your preparation at this stage, here are some most important questions from previous papers for IBPS SO (Agriculture Officer) exam. All the best!!! 13. Acid rains are due to which of the following gases? 14. Which one of the following is a most harmful pollutant by automobiles? 20. How many ATP are required to produce 1 mole of hexose in photosynthesis?